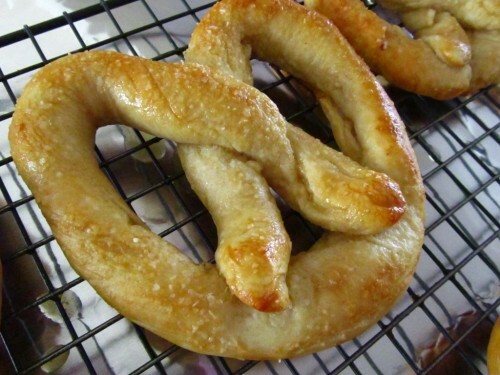 Easy Pretzel Recipe – Pretzels Recipes – Pretzel Bread Recipe | Cook Eat Delicious! Pretzels are a delicious snack. Whether you make a soft bread pretzel or enjoy a hard crunchy pretzel stick, both are enjoyable and easy to cook at home! Mall pretzels are always a hit but so expensive and sometimes you are not sure how long they have been sitting there. That is why I love to make them at home. Also, crispy pretzels are perfect on their own but add in some peanut butter & chocolate…a more than perfect sweet snack! Some like pretzels with mustard others like them sprinkled with cinnamon and sugar, which do you prefer? The savory or the sweet?